Are you going to buy a Samsung Galaxy S8 by reselling the old one. But wait, have you completely wiped all your data from your existing phone before purchasing new? You may say yes, but let us inform you that if you think you’ve permanently deleted all data on Samsung Galaxy S7/S7 Edge by solely deleting or even performing factory reset, you are under a deep misconception. Your data is not truly gone and chances are they can be recovered. You don’t want to reveal your essential data to any stranger you are selling your Android’s model, do you? Now the question arises, how to delete everything on Samsung Galaxy S7/S7 Edge permanently? Here is the answer - iSkysoft Toolbox - Erase (Android)! It is an ideal software if you want to permanently delete all data on Samsung Galaxy S7/S7 Edge and make it unrecoverable. The software is completely reliable and comes with a bunch of qualities. Keep your eyes on the screen, browse the article and you’ll accept this fact as true. It is high-quality tool to save your data from getting leaked. It completely wipes away ALL the data permanently. No one can get the chance to retrieve the deleted data after using this software as the data is not able to recover once erased. 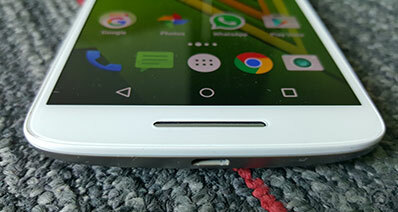 It is able to support every Android device(No matter what brands, what models). You can permanently delete all data on Samsung Galaxy S7/S7 Edge or on other android devices prior to throwing your phone or if you are thinking to resell or replace your phone. iSkysoft Toolbox – Android Data Eraser is absolutely safe and dependable. Your confidential or personal data will remain personal. Make sure to download the software. You can download from the links below. Launch iSkysoft Toolbox on your PC. Now hit "Erase" menu on the screen's main window and attach the Samsung device with your computer with the help of a USB wire. If you are asked to allow USB Debugging, click on "OK" to proceed. The next window will ask you to erase all data and converting your device to a brand new one. Under this, you will notice “Erase All Data” option. Click on it to permanently delete all data on Samsung Galaxy S7/S7 Edge. Now there is a requirement to confirm that you want to erase data. Type “delete” in the given vacant box. Now tap on “Erase Now”. The permanent deletion process will initiate after that. Remember to keep the device connected with the computer during the process. 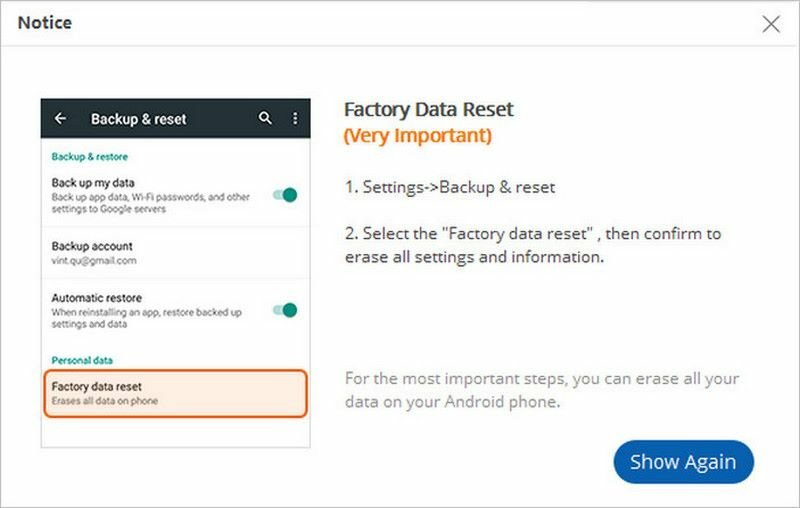 After completion of process, you need to factory data reset in order to remove all the settings from the device. This last step is vital. And this will actually delete everything making your device a new one and you no need to worry before handing it over to anyone! You can download the software and try to completely delete data on your Samsung S7/S7 Edge by yourself! When you want to sell your phone: You are planning to sell your old phone to someone because either you get bored from it or you don’t like it anymore, there’s a need to get your data deleted permanently to avoid getting it revealed to the new owner of the phone. When you donate for recycling: It’s a very appreciable thing if you are heading for donating your old Samsung or any device for recycling. Well in this case too, you should remove all your existing data to prevent it from getting leaked to anyone. You can take help from iSkysoft Toolbox – Android Data Erase to get this done. 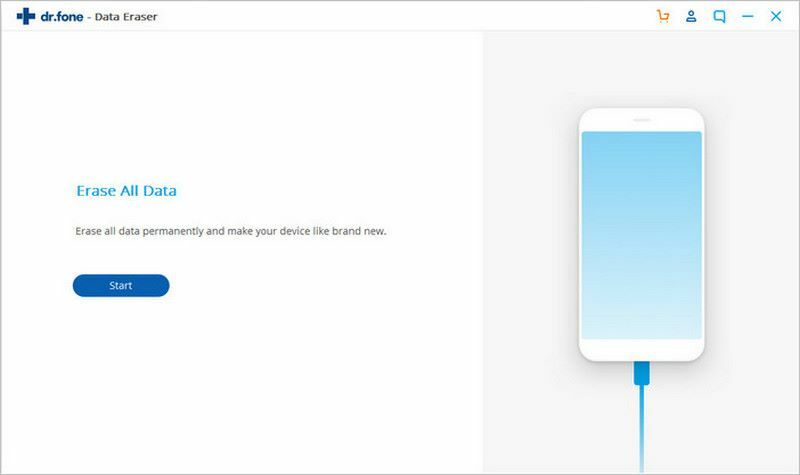 When you buy a second-hand device: You got a second-hand device and you want to use it effortlessly, then it is required to delete the stored data permanently before you use it. It will also let you work more easily by creating more space. When there’s need to release memory: You also need to wipe away your junk files permanently when your device’s memory comes to an end. In this situation, you are not able to operate your device properly making you feel annoyed sometimes. iSkysoft Toolbox – Android Data Erase can help you in deleting all the stored junk permanently if you want to run your device smoothly. When you are giving it to repair store to get fixed: You can’t trust any stranger, can you? You don’t know how bad or good is the repairman in the store who’s going to get everything fixed in your device. Also, you don’t have a clue what can he do with your important or private data in the device. When you need to return your device to the company: Sometimes, you get a device from your office or company to get works done for office purpose. When the time comes to return it, you might be having some data in that device. 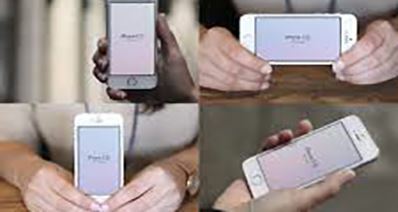 So it’s important that you permanently wipe it off before returning the device to the company in order to avoid leakage of your information or personal stuff to someone who possess it next time. 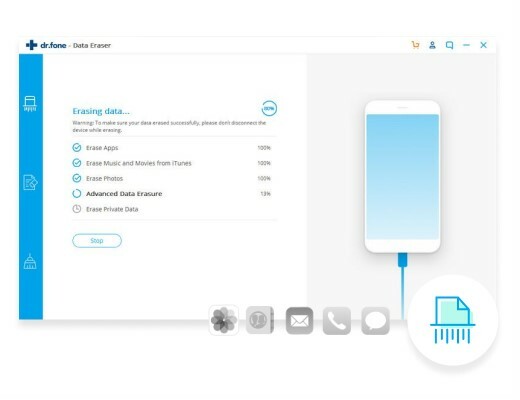 With coming towards the end, it can be said that not only losing data is a big issue but not deleting everything permanently from the device can also be a big issue for the users. They need it under different situations in which iSkysoft Toolbox - Erase (Android) gives a hand to the users. 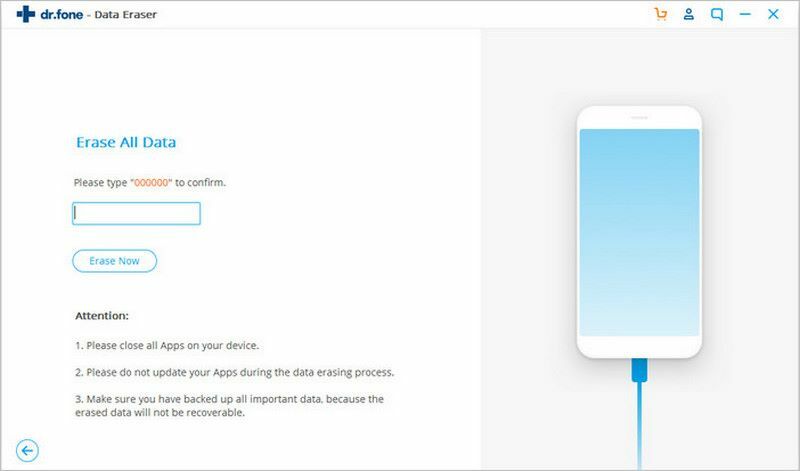 It shows with its tutorial on how to delete data on Samsung S7/S7 Edge permanently making it easier for the users to get out of the tension of getting the precious information leaked.